A lot of snacks are made from potatoes, the most liked snack french fries among them. These days, French fries is a very popular snack. 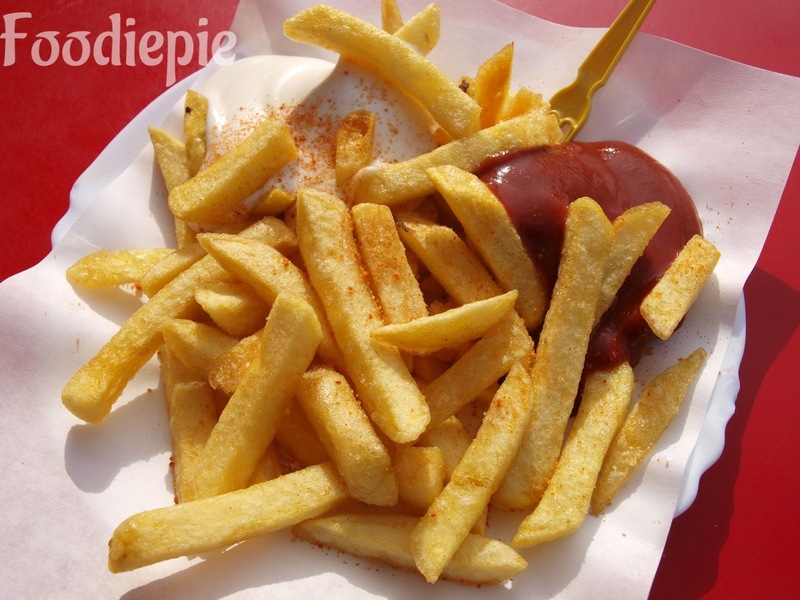 Do you know restaurants such as French fries can make you very easily at your home, after seeing the French fries, water comes in the mouth. Dilute the potato and fry it in oil. Children are very fond of French fries, you can easily make them for a birthday party or a picnic too.This french fries recipe is quite simple to make and no need too much ingredients for preparing this recipe.Let's checkout recipe. Step 1 : Peel the potatoes with the help of Peelar and wash it and put it in the water.Cut the peeled potatoes in rectangular long pieces. French fries cutter is available in the market which helps to cut into equal pieces very quickly. Step 2 : When the potatoes are cut in the form of fries then put them in the water so that the potato does not fall. let the potatoes stay in water for 5 minutes. Step 3 : Now put water in vessel and wait for boiling the water when water begins boiling then add chopped potatoes in boiling water and let it boil until water starts boiling again, turn off the flame and Let the potatoes for 6/7 minutes maximum. Step 4 : When boiling is done then drain the water and wipe excess water with cloth transfer potatoes to plate and keep in fridge for 10 minutes. Step 5 : Heat pan on the flame and add oil.When oil is ready then add potatoes.fry french fries very lightly in first time, let the potatoes cool for 2 minutes and let the oil warm. Step 6 : Again, put the potatoes in the hot oil and fry until it becomes light brown. Finally : Salted Crispy French fries are ready, for eating spicy French Fry, it can make the taste more big by putting the chat masala over it. Serve French fries with Tomato Sauce or kasundi and eat it.